Cute never goes out of style, and for good reason! Just one look at the adorable and iconic Hello Kitty— who can resist that cherubic little face and sweet getup? 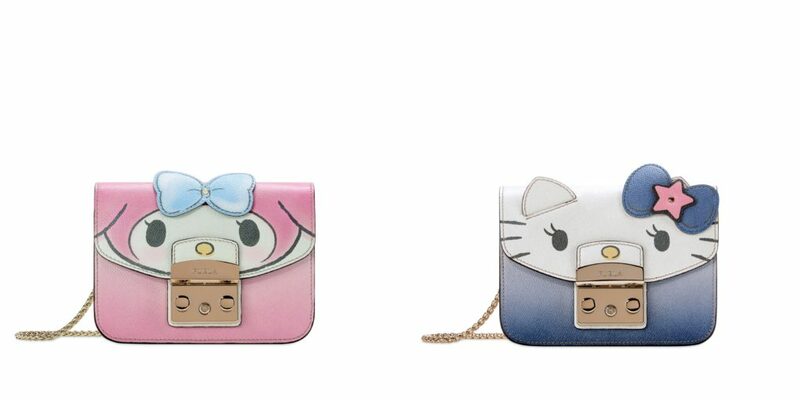 Even if you’re not an avid Kitty collector, you’ll want to get your hands on the Furla Hello Kitty Collection, a series of functional yet cute accessories! 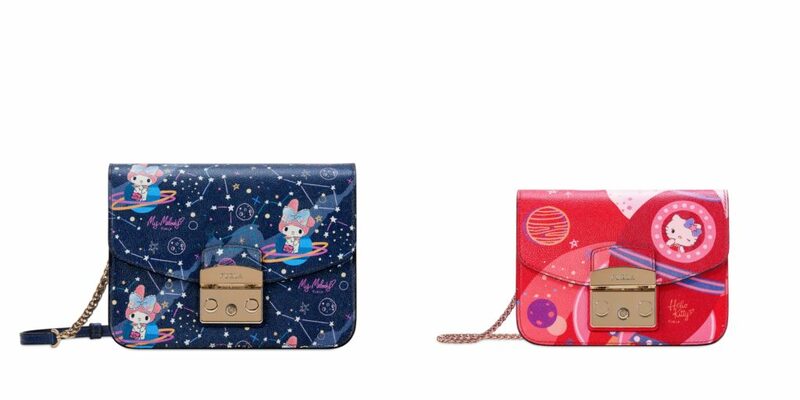 Introducing: three new Hello Kitty space adventure-themed prints to grace the iconic Furla bags from this collection. A bright red print sees Hello Kitty on a rocket, blasting off into space, The Stars print depicts My Melody amongst Saturn’s rings, while the Planets print is a dreamy pastel rendering of Hello Kitty peeking out from behind Saturn. These designs feature on the stars of this collaboration: the iconic Furla Metropolis that will come in two sizes, Small in Ares calfskin leather, and Mini in Saffiano, with gold chain and closure. Of course, the Metropolis also comes in two designs bearing the likenesses of My Melody and Hello Kitty, enough to make any collector squeal! How absolutely lovely these kitschy bags will look slung on your arm; they are sure to be a topic of conversation. The bags come with enhanced pearl-effect details, such as the 3D bow embellishment. 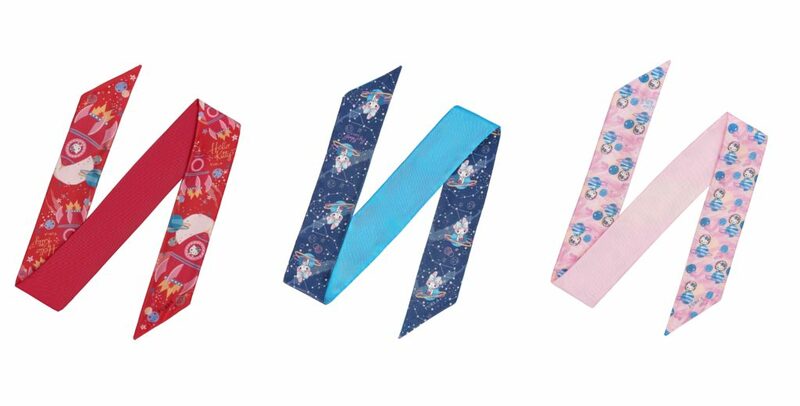 The collection also includes all-new printed fabric bands in three vivid colours, either to add further pizzazz to your bags or to be worn as a bracelet. Sometimes, more is more! 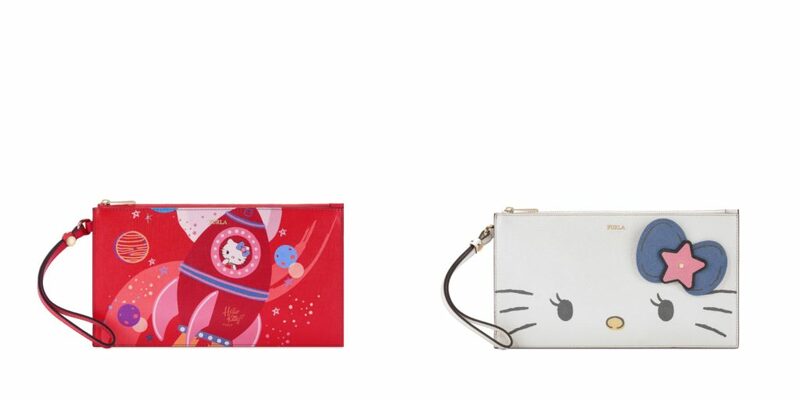 Speaking of add-on accessories, the Furla Hello Kitty collection is topped off with My Play Furla flaps, and small leather wallets and card cases. This line is functional for everyday life AND over-the-top cute, so why not go ahead and spoil yourself? We think Hello Kitty would approve.